The mastermind behind Barack Obama’s campaign victories said he does not like the approach Hillary Clinton has taken since announcing her candidacy nearly two months ago, BuzzFeed reported Wednesday. David Axelrod was at Marquette University on Tuesday to promote his book, and while he was there, he spoke about Clinton’s campaign to a local news station. "I thinks she’s being hurt right now by her sporadic appearances—you want to be the regular routine of campaigning, and it’s important that she gets there and gets there quickly," Axelrod told Wisconsin ABC affiliate WISN. Clinton has been under heavy media scrutiny for avoiding the press and only offering closed-door, scripted campaign events with pre-screened attendees. "The question she’ll have to answer is which candidate is she going to be in 2016, because once again there’s this veil of inevitability and there’s a temptation to be cautious," Axelrod said. "You have to take some risks along the way." Exacerbating the issue, she faces accusations that she used her position at the State Department to engage in quid-pro-quo arrangements with foreign governments and corporations to benefit the Clinton foundation and her personal wealth. That scandal, along with her use of a private email server and email address to avoid government oversight on her State Department communications, have led to sliding poll numbers. A CNN poll found that 57 percent of Americans do not think she is honest and trustworthy, and less than half think she cares about them. 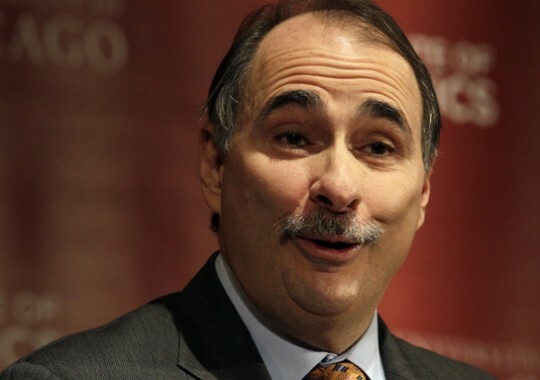 Axelrod said he would advise Clinton to tackle the questions she faces head on. "I think if she continues in this fashion it will be a problem." This entry was posted in Politics and tagged 2016 Election, David Axelrod, Hillary Clinton, State Department. Bookmark the permalink.